US Power-Thrashers SKINNER based in San Francisco Bay Area, will release worldwide their first album "Sleepwalkers" through Dead Inside Records on May 6th 2014. 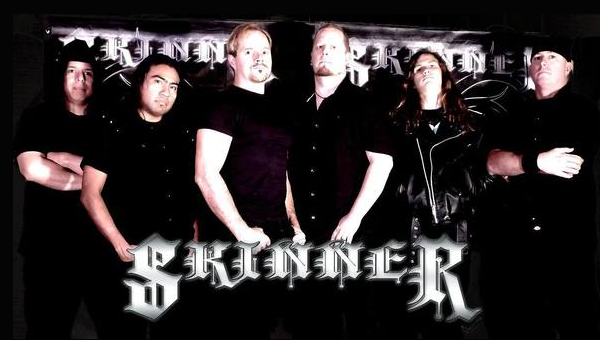 SKINNER was formed in 2010 from the fallout of the now defunct Power/Thrash band IMAGIKA and features Norman Skinner (Vocals), Robert Kolowitz (Guitars), Grant Kolowitz (Guitars), Alfred San Miguel (Guitars), Jim Pegram (Bass) and Noe Luna (Drums). Throughout the band’s history, IMAGIKA released worldwide 7 albums in total and toured extensively. Taking its name from their lead vocalist; SKINNER, combines both the European Power Metal sound with the high energy Thrash Attack of the San Francisco Bay Area. "Sleepwalkers" features 11 molten American power/thrash metal songs full of potent vocals, blistering guitars, punishing bass and hard hitting drumming. They've played shows all around in California as well as multiple shows in Nevada and released worldwide their 5 track EP "The Enemy Within" in 2012. 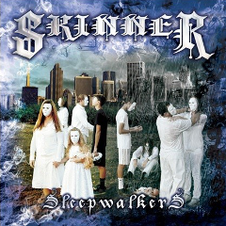 If you are a fan of music of such band as MYSTIC PROPHECY, FORBIDDEN, KAMELOT, MEGADETH and TRIVIUM, you should check out SKINNER.